Hey guys, Kooljack2000 here. And yes, that's right. The CPPS that sparked the population of CPPSes as we know it today is back. It's been a while, hasn't it? I've had so much to do that I couldn't get the time to post. Now most things are out of the way I will try to post as often as I can to keep you guys up-to-date! !transform command from UPv4's beta times in February 2013, where you can transform into things including a t-rex, puffle, and even Herbert! The register is in the game client itself, just like Ultimate Penguin! Just go to the website and click "Create a Penguin"! Hey guys! kooljack2000 with some new CPPS news. 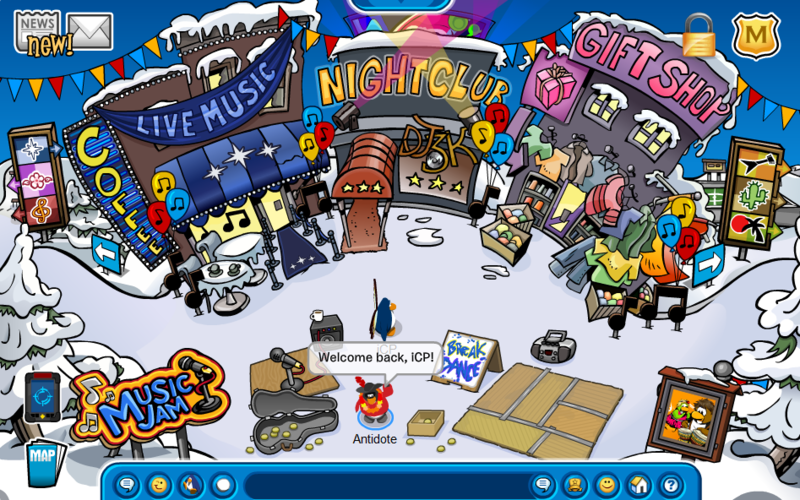 Last night, Exodus - a very nice CPPS - opened. However, the users' joy were turned to anger when the site was DDoS attacked by an unknown person. 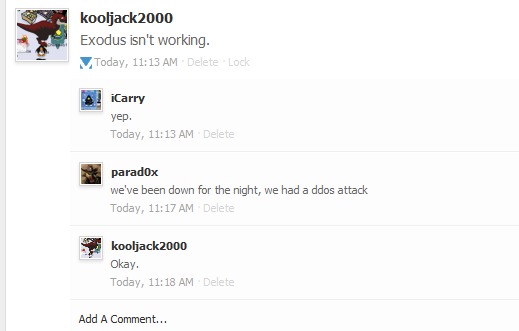 I posted on rile5 that it wasn't working when parad0x told me the news, as seen in the picture above. Let's hope this CPPS comes back soon! kooljack2000 here. I know, I know, the site was apparently hacked by someone, but thanks to the hard work of jadbalout the site is back! How awesome is that! Ok, let's get to why I'm posting. Simplicity has put up the Halloween Party after its "fatal" server crash that resulted in everyone having to re-register. Stuart (the owner of the CPPS) has included an !addall command, and the beta hat will be patched on May 1st 2013, so get the beta hat before it goes by using the !BETA command. To visit Simplicity click here! Hey guys! Welcome to my website! In this website i give you cpps cheats! We give you new cppses and cpps cheats! We are still adding some features! So enjoy it while it lasts!